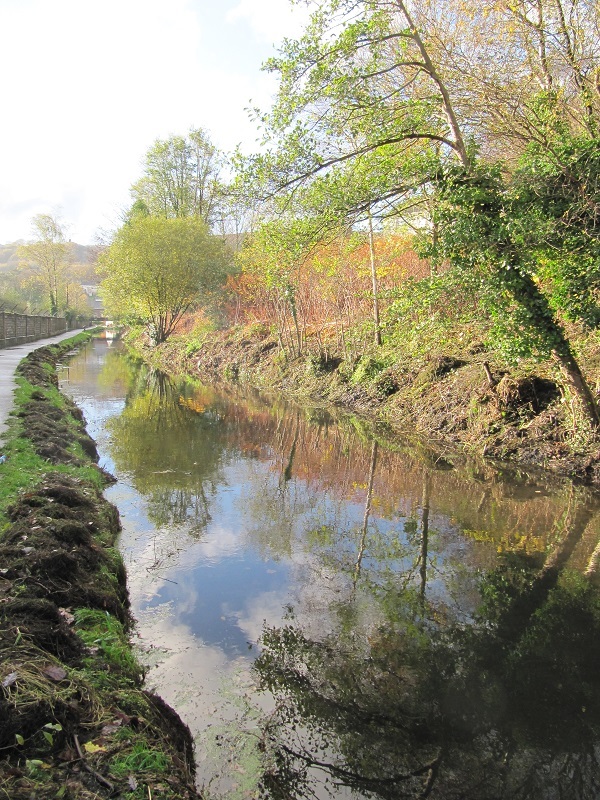 We have worked several weeks now on clearing the off side of the canal from Clydach Aqueduct to Clydach Lock, a distance of about 500 yards. Well, we are just over halfway there. And what a difference we have made. For 250 yards, the channel is clear of weeds, invasive plants and general litter and debris. We have blazed a path on the off-side that is passable and the verge side trees that were shrouded in dead bramble can now be seen in graceful silhouette. I walked the section yesterday afternoon and the autumn colours of the birches and alders were sunlit. To top it all a kingfisher darted up the canal in front of me, a speedy dot of iridescent blue as the sun caught its back. To quick, I fear for a photo. 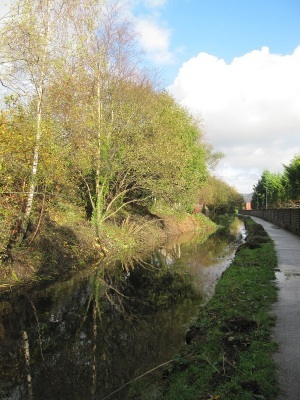 There is still much to do and the length from just north of the Co-op supermarket to the bend in the canal before the Clydach Lock is clogged with weeds and overhanging trees and shrubs. A hard prune is all the goat willow and buddleia need but it all takes time. Perhaps two more weeks and we will have transformed this section. Well done to everyone who has helped us these past four weeks. Previous postA VIRGIN MEDIA AND WHITETHORNS DAY Next postTHE WEEK AHEAD: 16.11.14 to 22.11.14.